Home › Lessons › Private Lessons Via Skype! Tagged as Online Lessons, Skype. The Internet sure made the world a much smaller place! 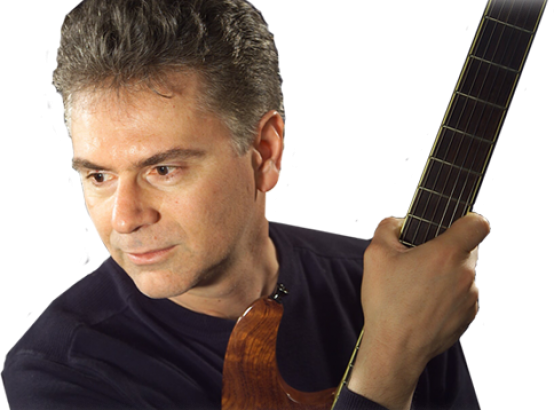 Now you can have personal, private guitar lessons with George Collichio in the comfort of your own home. It’s easy! Once you’ve purchased your lesson time with George, he will contact you to arrange a time to meet with you on Skype. Lessons start at just $30! 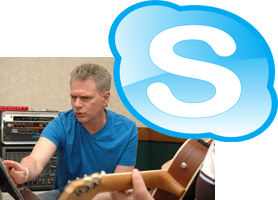 George uses Skype to do one-on-one video calls while giving private guitar lessons to people all over the world. All you need is a free Skype account and a webcam attached to your computer or tablet! Need to learn more about Skype? No worries. Here’s a great tutorial to get you started: Skype User Guide and Tutorials. 1 review for Private Lessons Via Skype! Outstanding! George, this was the coolest thing I’ve ever done with my guitar and computer. LOVE IT and can’t wait for the next lesson. You’re the BEST!